Your Soul-searching stops on August 28 when Columbian Autocar Corp., the exclusive distributor of Kia vehicles in the Philippines, finally unveils the Kia Soul. 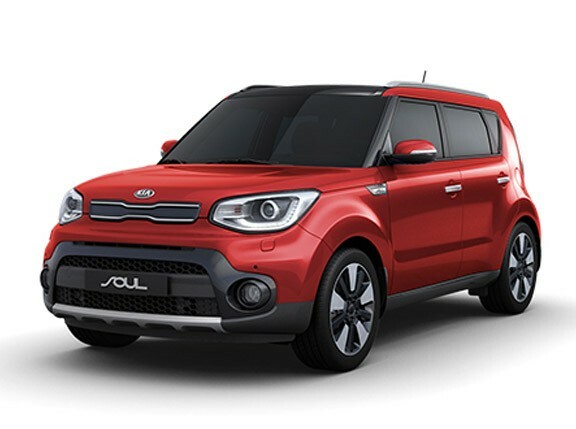 Kia markets the Soul as an urban crossover vehicle with a sporty design that is complemented by hip features like the speakers that light up and the front bucket seats that gives enough comfort and support while driving. The Kia Soul sold in the Philippines comes with a 2-liter gasoline powereplant in three variants: the EX in five-speed manual and four-speed automatic transmissions, and the EX in four-speed automatic transmission. "This vehicle is for the young market--college students and young professionals from 18 to 35 years old and also for the young at heart. We call it a vehicle because it really is a crossover between a car, an SUV, a sports car," Columbian president and chief operating officer Felix Mabilog said in an interview. The five-seater Kia Soul is also fit for small families as Columbian proved during family drive for the motoring press over the weekend. Kids can have all the space they want in the Kia Soul which measures 4,105mm long, 1,610mm high and 1,785mm wide; packing in three adults in the backseat may feel a little cramped. The Kia Soul also comes in youthful spirited body colors like Black Soul, Vanilla Shake, Green Tea Latte, Java Brown, Cocktail Orange and Tomato Red. Other colors are White No. 1, Moon Light Blue, Titanium Silver, Bright Silver. Columbian is optimistic about the Korean vehicle's popularity in the Philippine market as the Kia Soul has been getting rave reviews and awards even in the United States. "This is a new vehicle but it is already very popular. Even before we brought it here, people who are really into cars and search the internet are already aware of the Soul," Mabilog said. The Kia Soul takes its roots from the Kia Mesa concept vehicle unveiled at the North American International Auto Show in 2006. It was later launched as the Soul at the Paris Motor Show in October 2008. The Kia Soul has since won the Red Dot design award, a prestigious recognition in industrial design, as well as the Top Safety Pick award given by the U.S.-based Insurance Institute for Highway Safety. The Soul also earned five stars from the New Car Assessment Program in Europe. With its growing popularity, Columbian's Mabilog said it is difficult to say how many Souls will roll off Kia showrooms in the next few months but the distributor would ideally want to move 50 to 100 units a month. "It depends on how the market appreciates it and how many units we can import because this is really very popular in Korea so it's also a matter of supply," Mabilog said. Can't get enough of the Soul? Read Dinzo Tabamo's vehicle review in Soul siren or check out our short video in Vernon Sarne's latest All Will Drive column.